Cooling Down and Hotting Up. 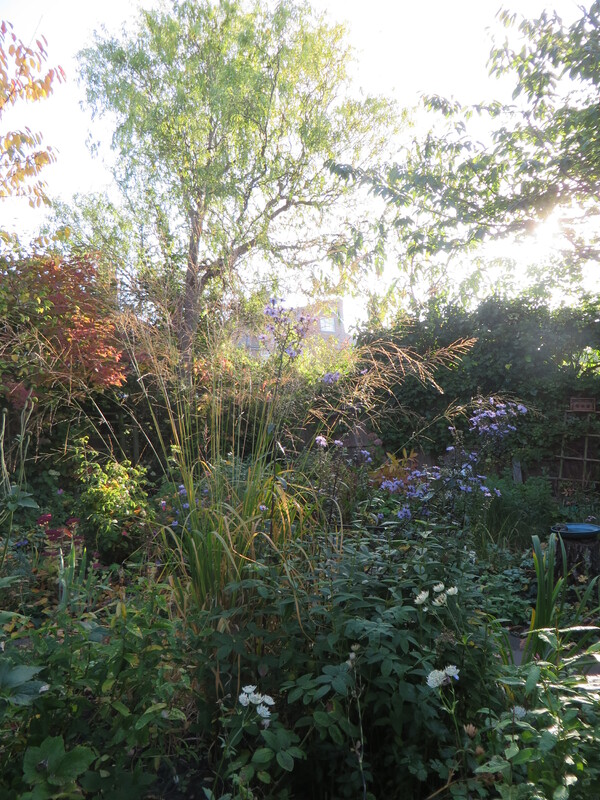 As the garden starts to cool down, taking on it’s stunningly beautiful autumn colours, my workroom starts to hot up. 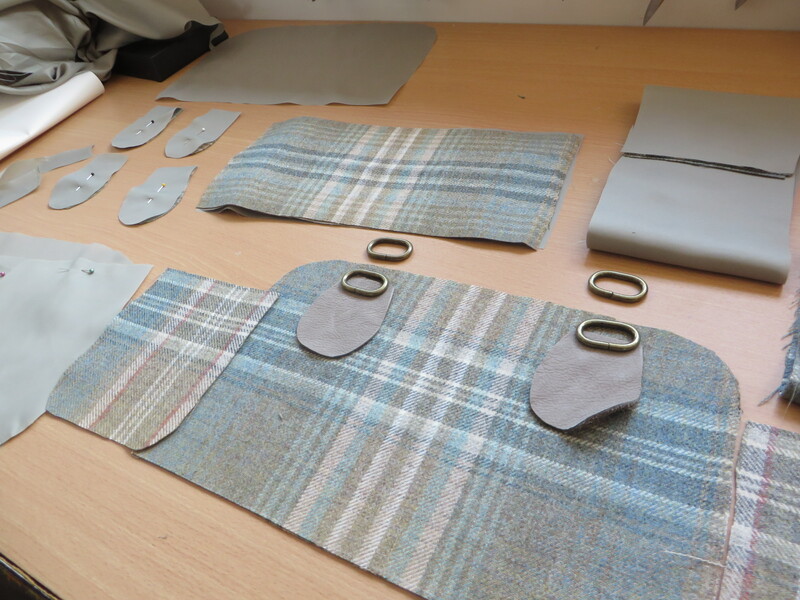 Filled with inspiration and enthusiasm I now feel the need to make, make, make. But first possibly a final look at the garden before it goes to sleep. 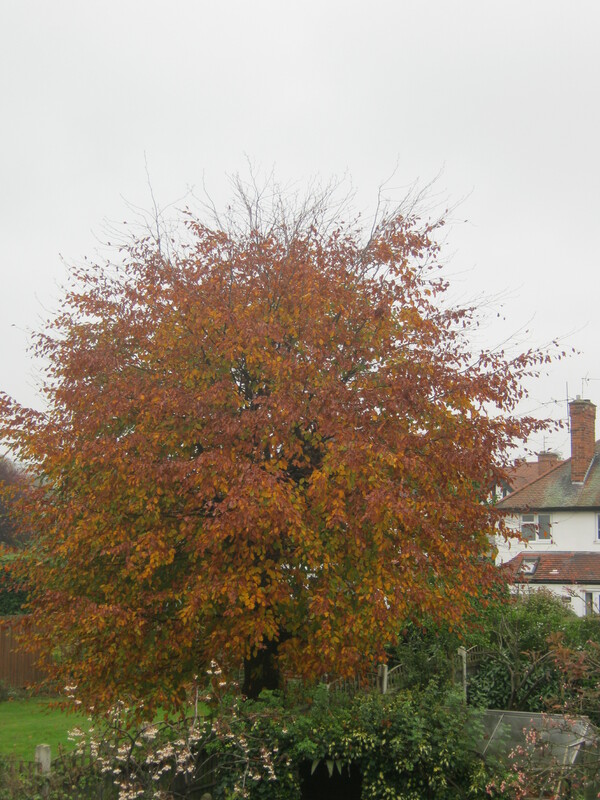 My neighbours beautiful Copper Beech looking at it’s best, won’t be long before the whole lot falls then I’ll be out there raking leaves. The only problem with these is that they take far too long to break down into leaf mulch. I have a habit of not throwing anything away even bits of wood. 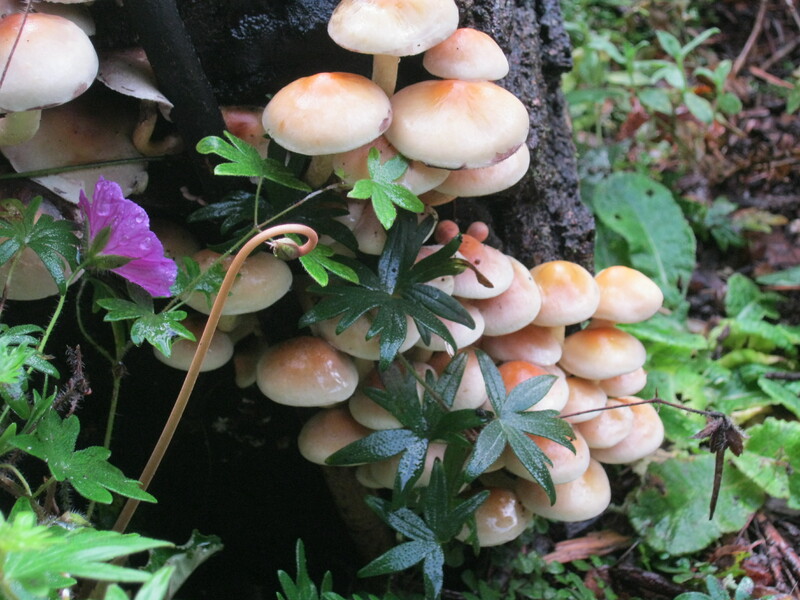 These tend to be placed around the pond as hiding places for newts and other small creatures. 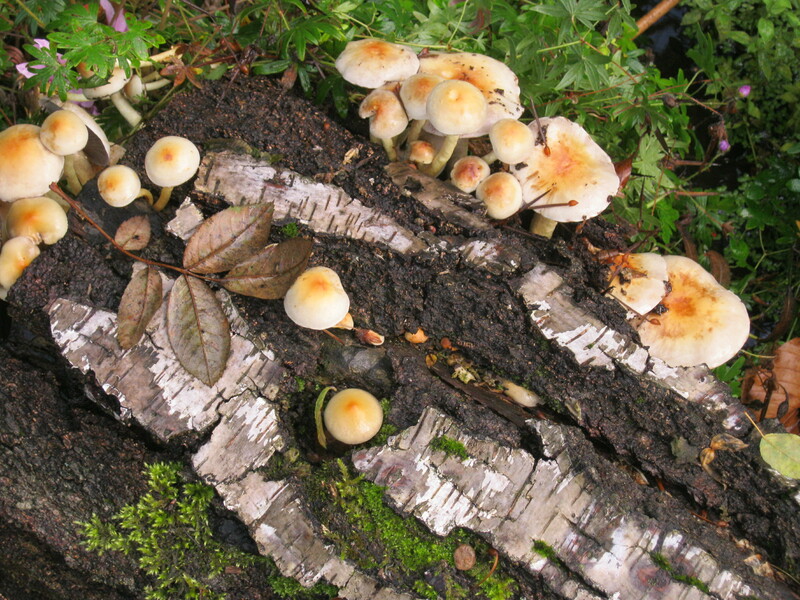 These lovely bits of wood then often produce fungi which to me are as beautiful as the flowers around. Some years I may see none at all but this year seems to be a good one. A general view of the bottom garden, this is where we removed the g/daughters playhouse from. You would never have thought it had ever been there. Lots of autumn colour in this area asters, cyclamen,phlox and a couple of grasses. In the background the rusty leaves of viburnum opulus. 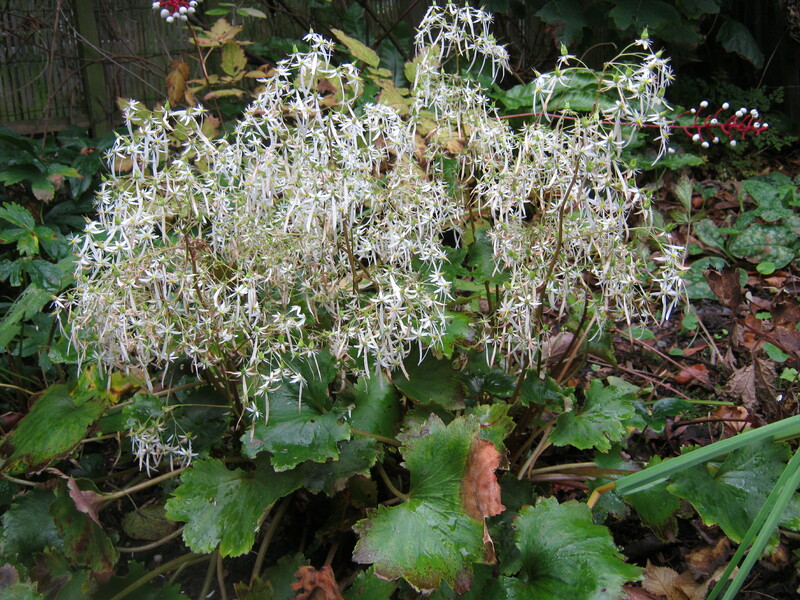 The ever welcome flowers of saxifraga fortunei. Flowering really late in the season and looking so delicate you would think that the cooler nights would kill it off. And still we have roses. 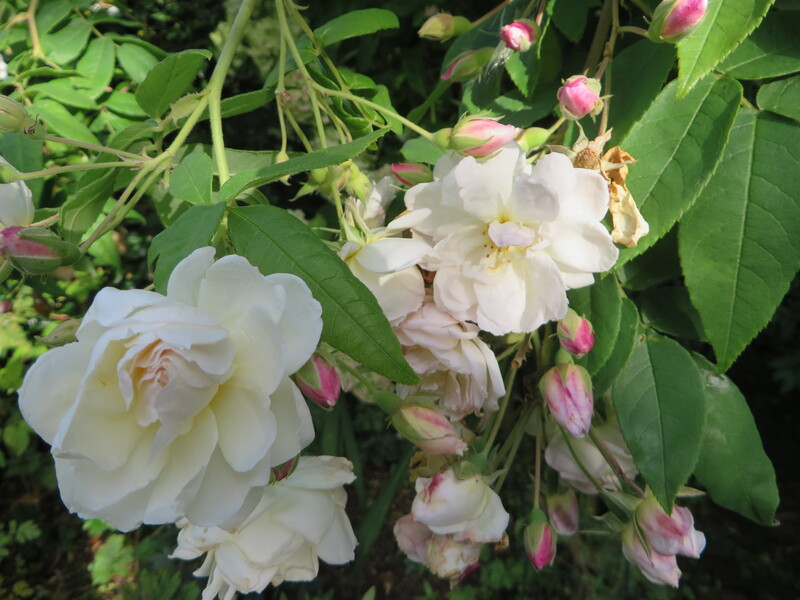 This one being Rosa Macmillan Nurse a very pure white flowering right up till the frosts. 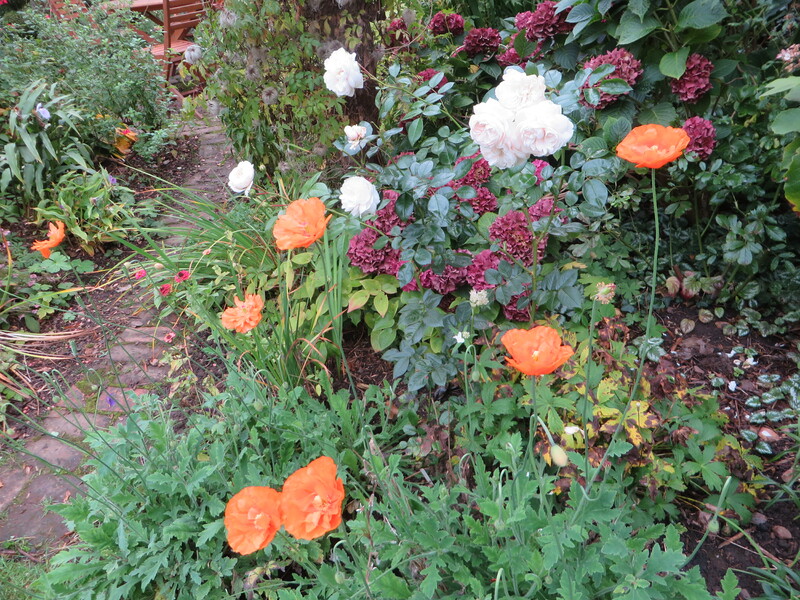 Papaver rupifragum still flowering it’s socks off. Behind is a pink hydrangea now turned a lovely dusky deeper shade. 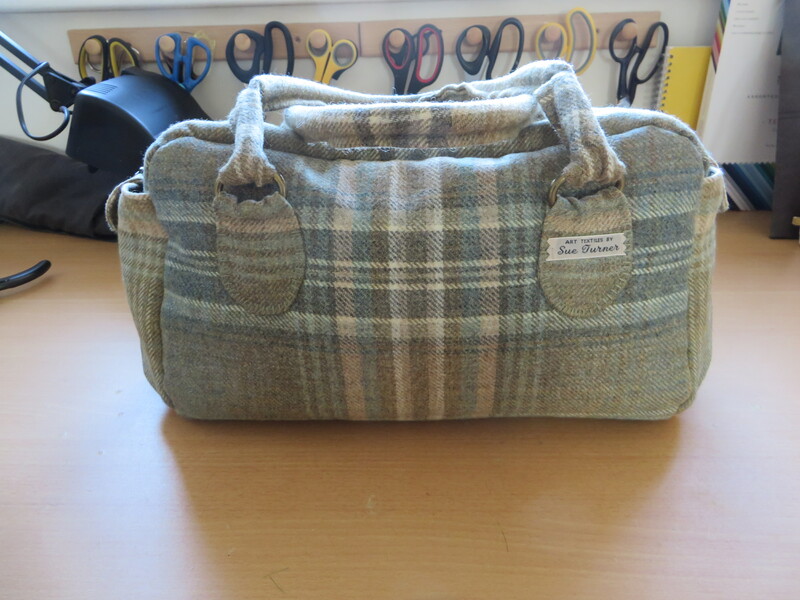 So as a taster from the sewing room. 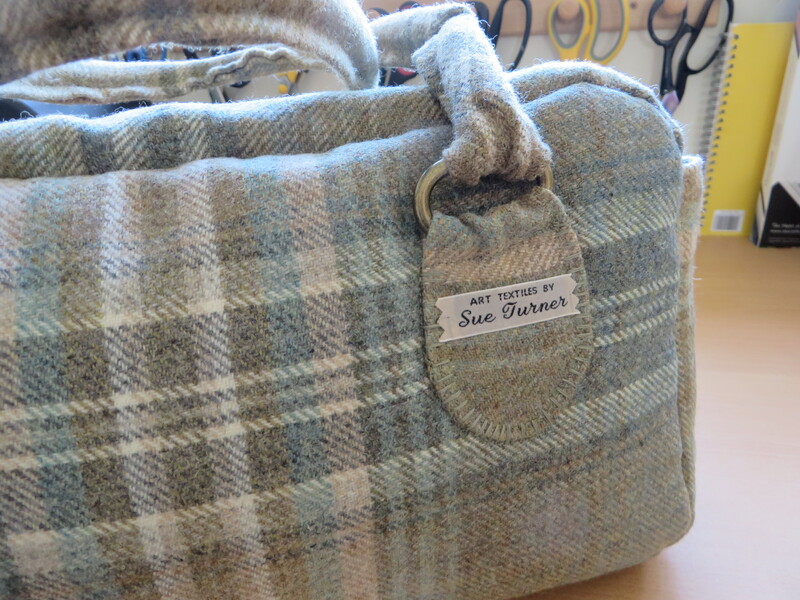 A piece of fabric bought possibly last year from Best Fabrics Castle Donnington, just enough for an autumn inspired bag. 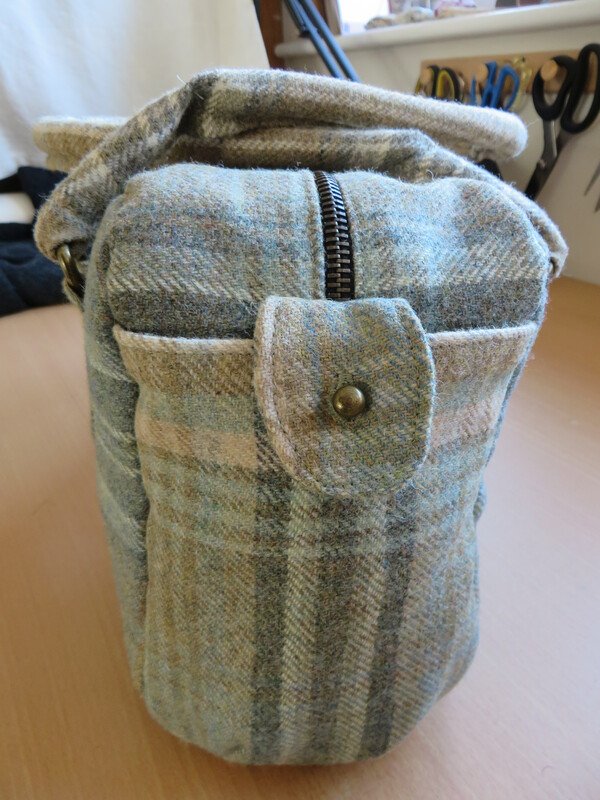 Thinking about the softer colours this barrel type bag has two side pockets and an internal one, I was going to use some pale leather on it but working on the hoof I change my designs throughout my making up process and decided against it. 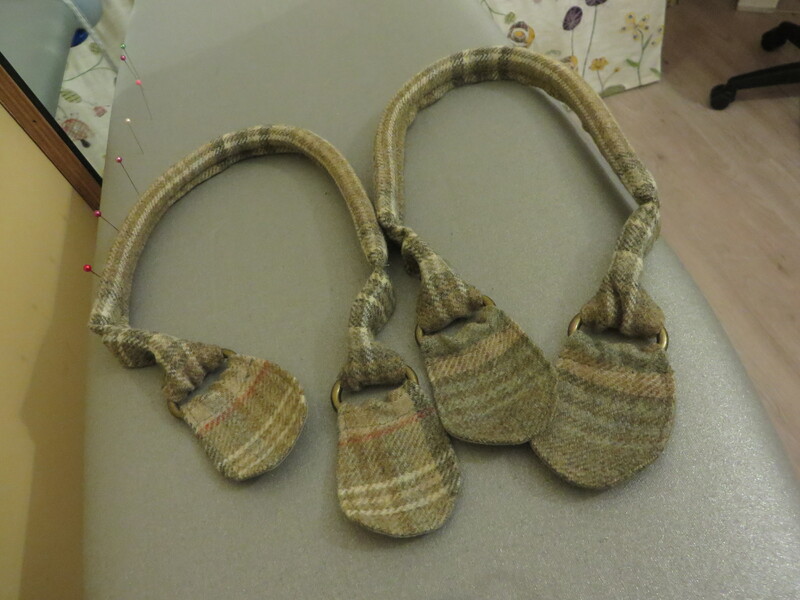 Bag handles made. Fabric not leather. Internals done, bag base stiffening in place. 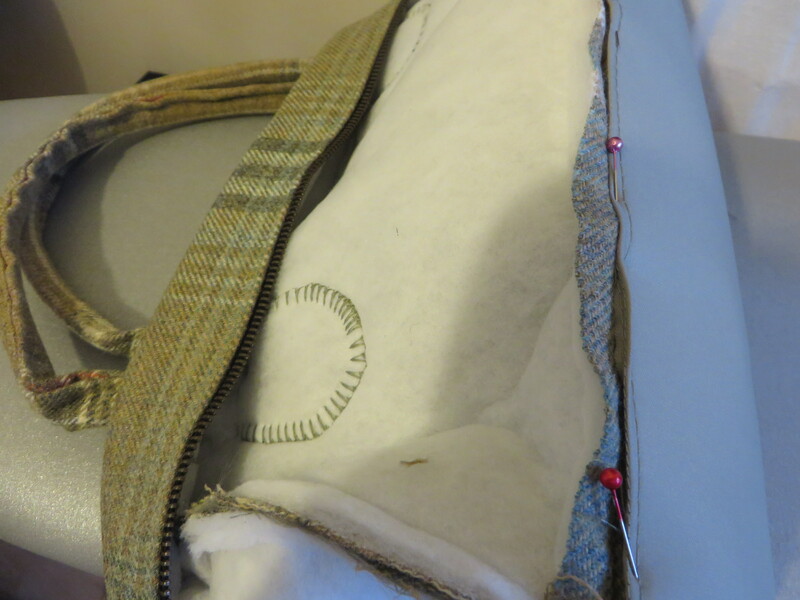 As a fastener for the sides I had two studs left over from when I made my leather weekend bag last year. Finishing off the sides nicely. After three weeks getting over a virus we are pretty much back to normal. I wouldn’t wish this on anyone. So energy levels nearly back to normal it’s time I had a look around the garden, we’ve had an awful lot of rain lately plus some lovely sunny days. You’d be forgiven for thinking it was spring again or early summer. I have got such a mixture of plants flowering that would normally have been over weeks ago. 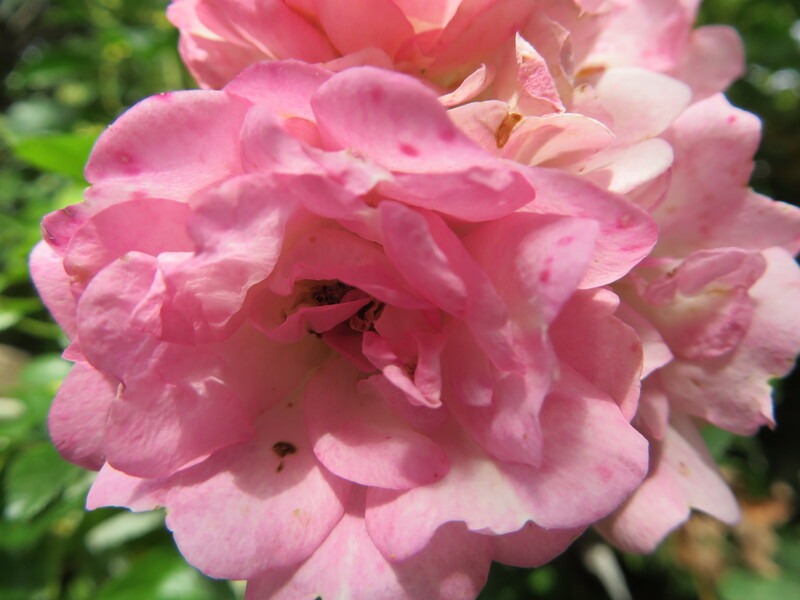 The roses that seem to have missed summer this year have now decided to wake up. Rose Blushing Lucy is now putting on a really great show, a climber that covers most of the summer house. Rose Kitty’s Rose, bought after my lovely neighbour Kitty died, I’m sure she would have approved. 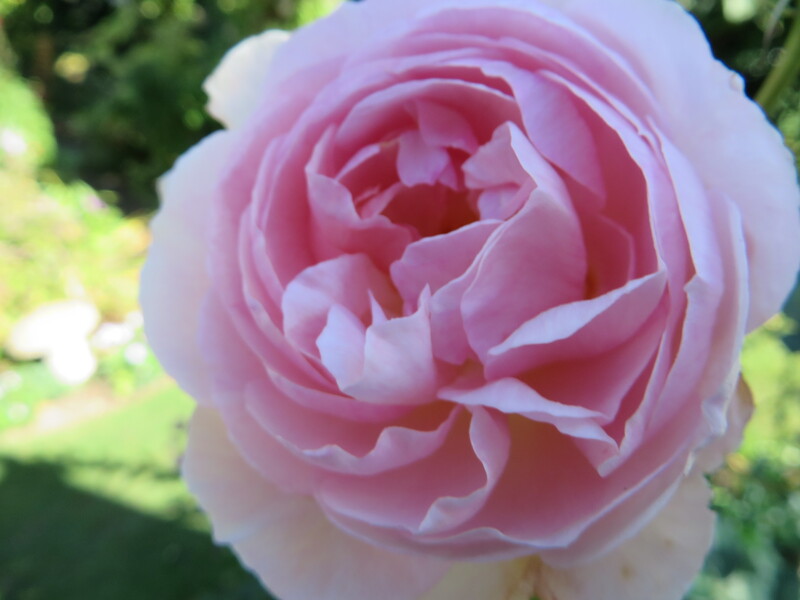 Not sure of the name of this rose so I won’t attempt to try looking it up, but a perfect shape and lots of perfume. 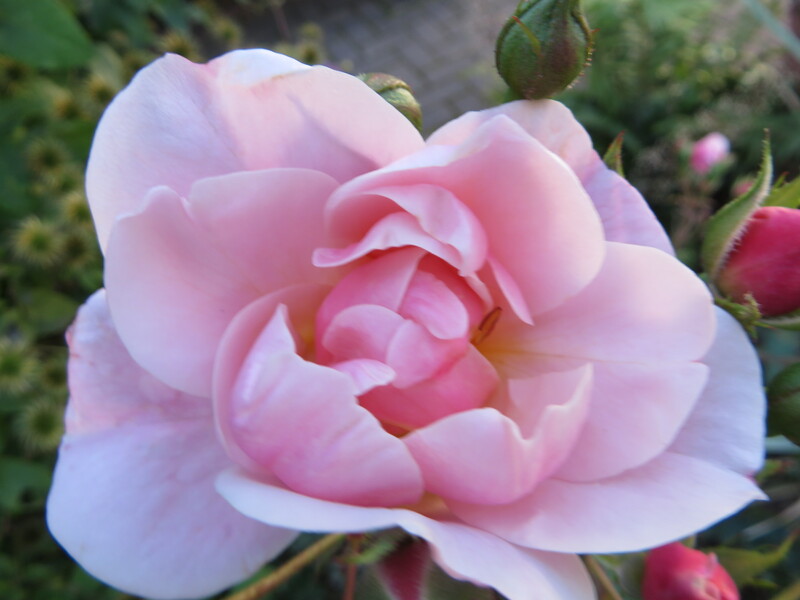 Rose Princess de Nassau, now this is a late rose so it’s not flowering out of season. A large shrub or small climber will take a hard prune as it flowers on new wood and not until September, a bonus I think you will agree. 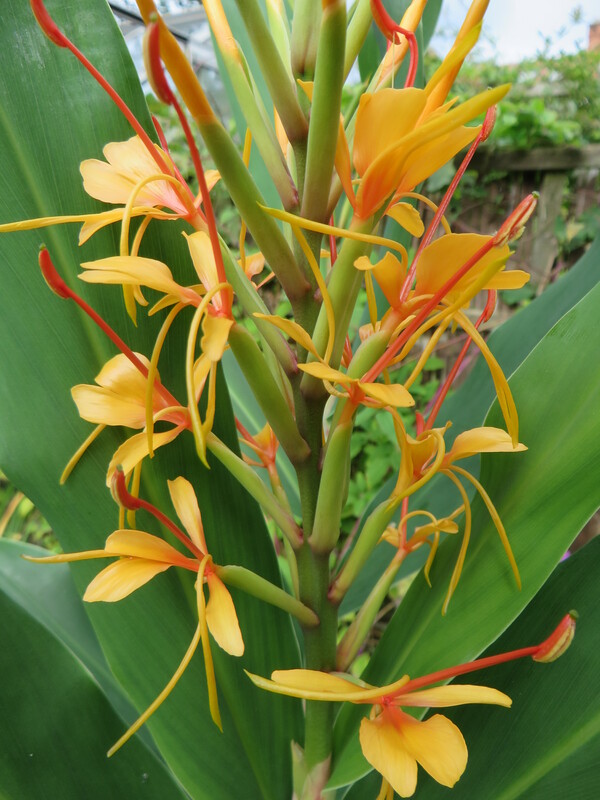 Hedychium ‘Tara’ this has made a huge plant with many spikes of flowers, a welcome site in the hot borders. 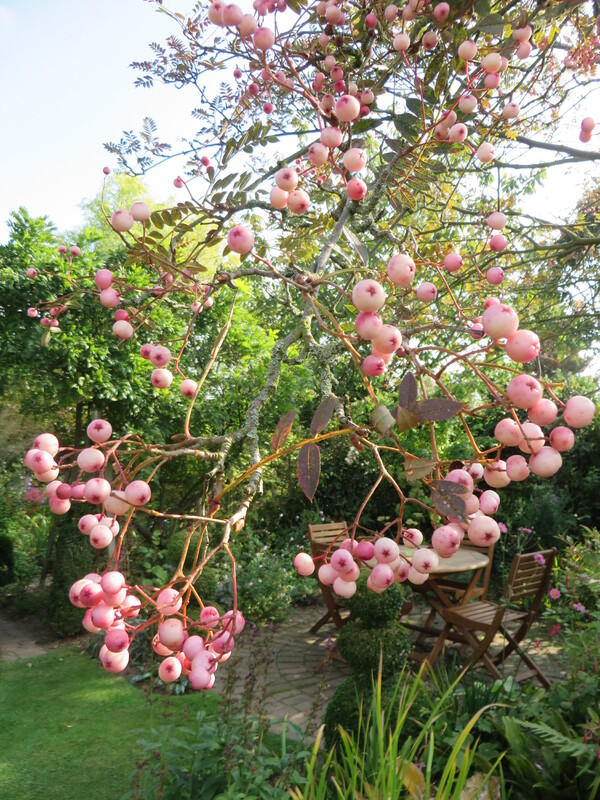 It’s going to be a great year for berries, here one of many Sorbus in the garden Sorbus Villmorinii has turned a nice pale pink. Not sure how long this tree will last, it has several limbs with die back and more looking crumbly but I will enjoy it till it drops then I have a Magnolia Wilsonii waiting in the wings to replace it. 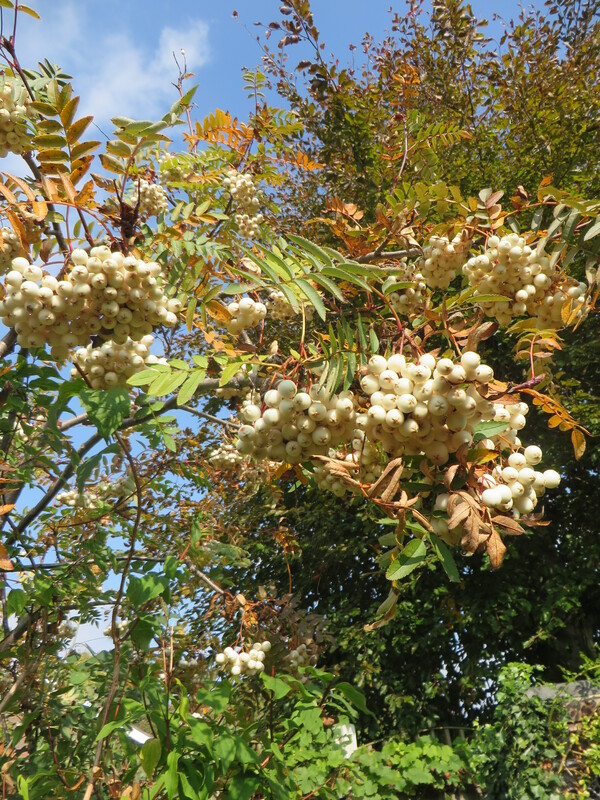 Sorbus Cashmiriana white fruit with the foliage turning bronze. We have had two pairs of Blackbirds fledge their young this week. 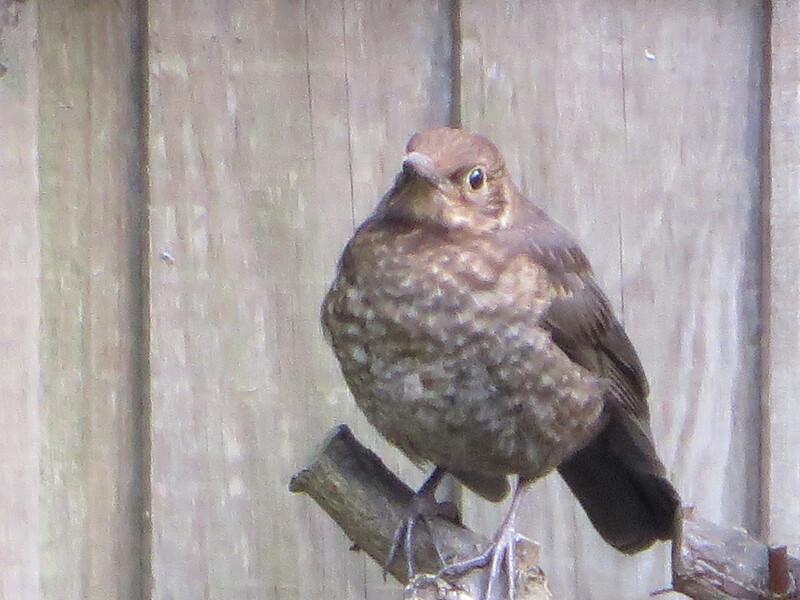 I can’t remember seeing young blackbirds so late in the season. They have been fighting for space in the rill, seeing who can get the best position for a bath, quite amusing. Now I’ve not been idle while feeling under the weather, there are only so many books you can read before cabin fever sets in. Imogen my 6 year old G/daughter was rummaging on my fabric shelves when she found this material, saying it looked like a rain forest and could she have a top made out of it. 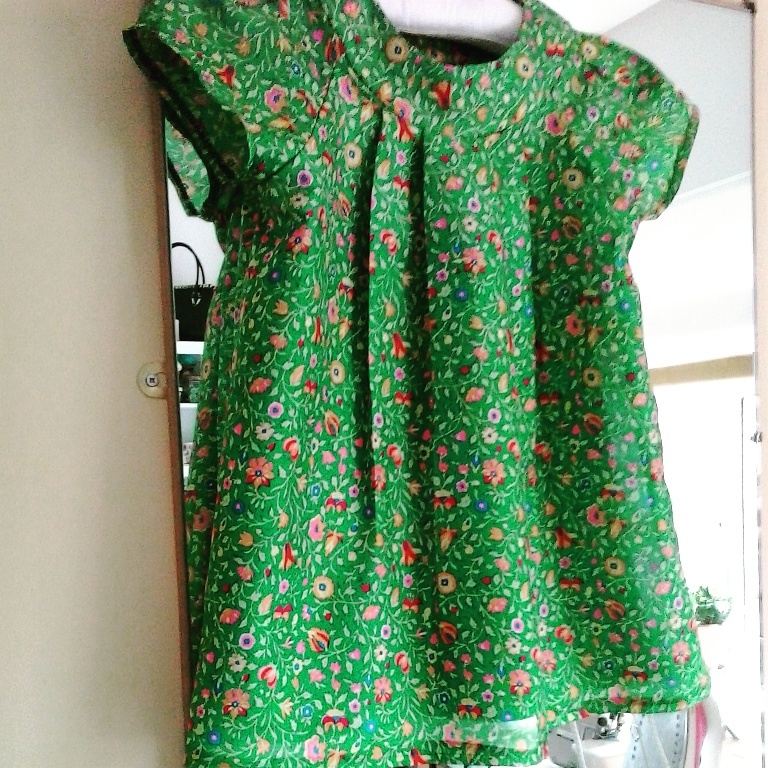 Here is the finished top and one chuffed little girl went home happy. 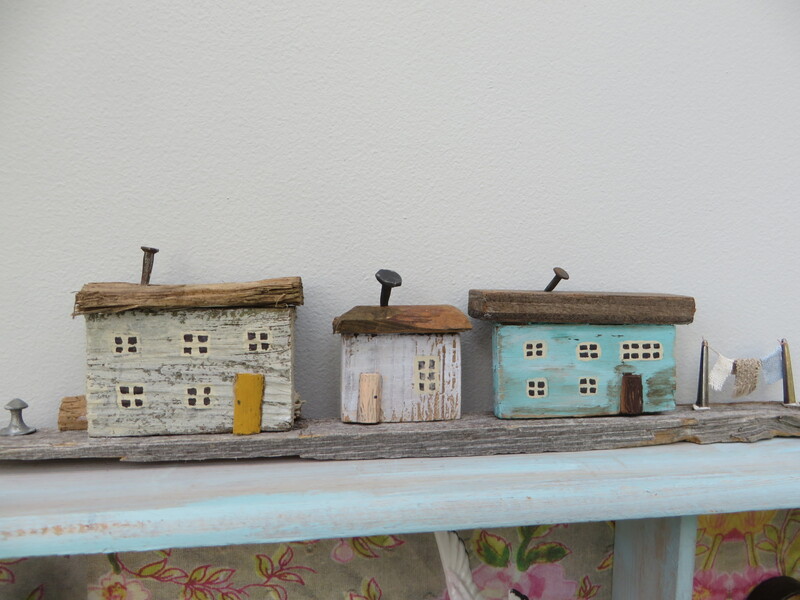 Now when we go to the coast as you know I always pick up ‘rubbish’ from the beach, I often see these little houses in shops costing the earth.So this is my take on a seaside scene. Little cottages using found wood,old nails, slices of pencils for doors,collar studs and old earring pieces…..
I’ll try not to leave it so long before I write my next post.